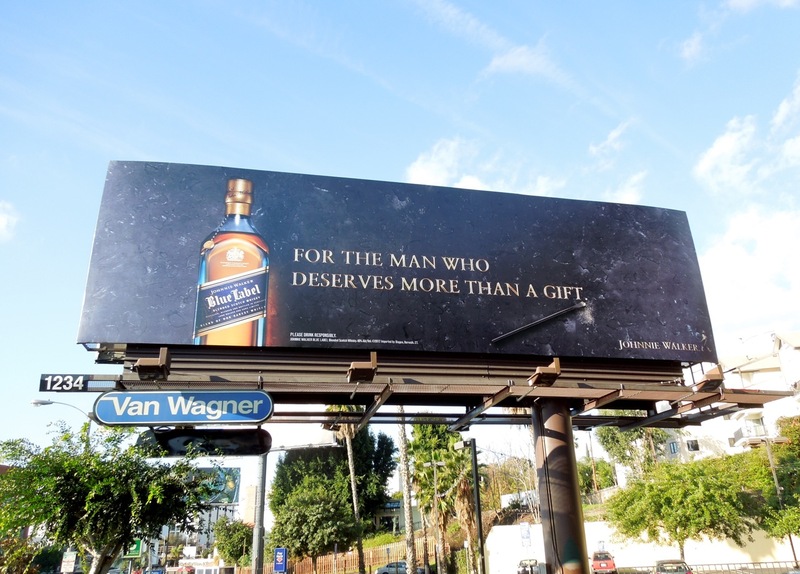 With party season in full swing, you can't move in L.A. at the moment without spotting an ad for one alcoholic beverage or another vying for your attention. 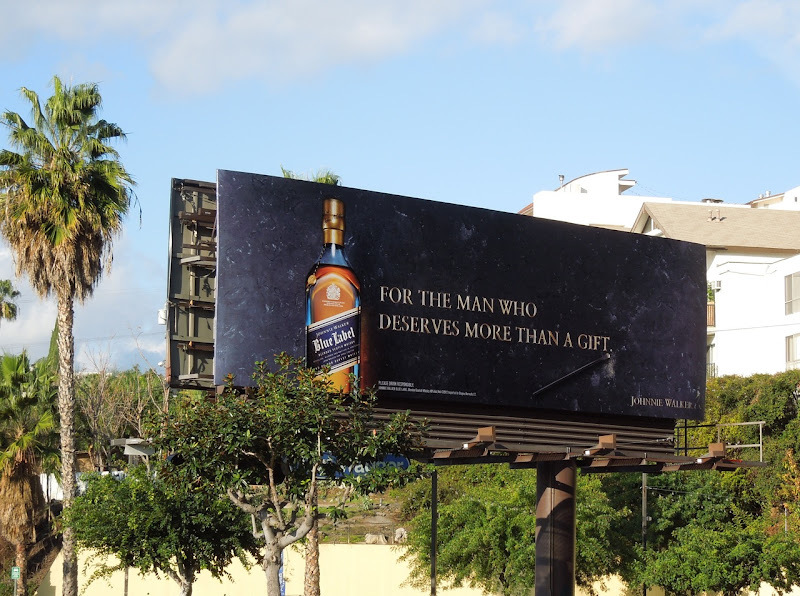 In this valuable gift-giving season Johnnie Walker wants to win you over with its Double Black and Blue Label Scotch Whisky, for the discerning gentleman and true connoisseur who apparently deserves more than a simple present under the Christmas tree. 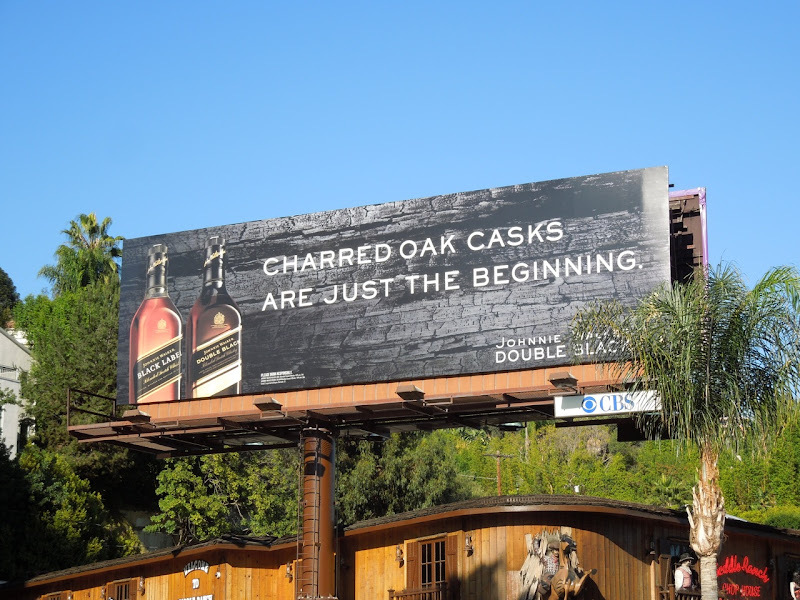 These distilleries are certainly fans of their bottle product shots front and centre, whether it be against a charred wood background or a smooth marble finish. 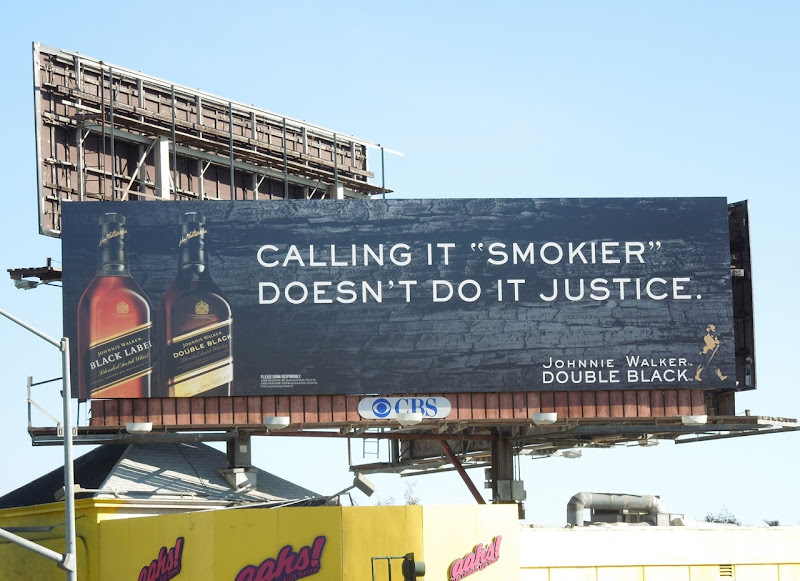 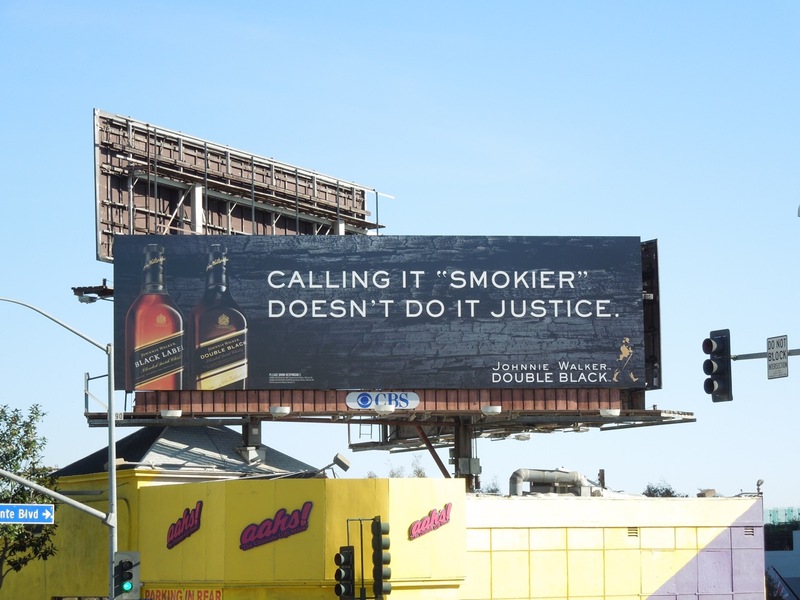 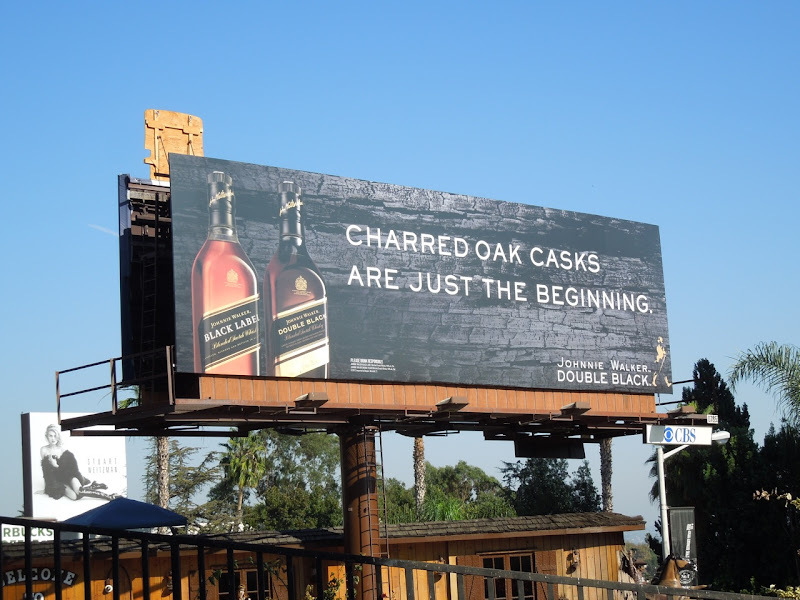 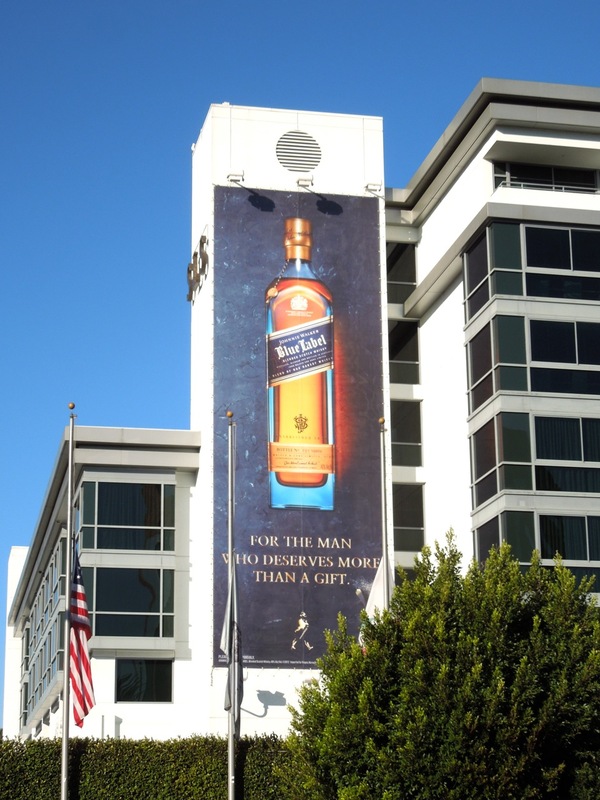 The Double Black whisky billboards were snapped along Sunset Boulevard on November 3 and November 23, 2012. 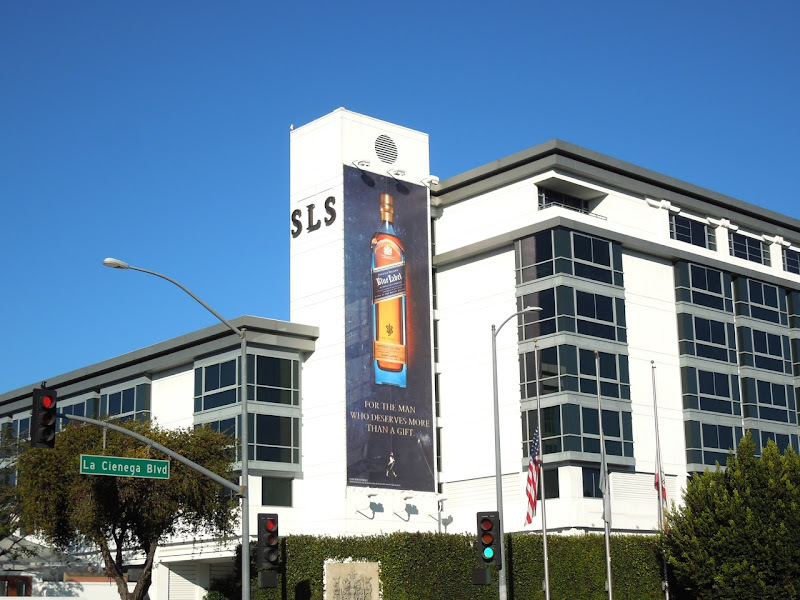 Meanwhile the Blue Label creatives were photographed along the Sunset Strip, plus on the side of the SLS Beverly Hills Hotel along La Cienega Boulevard on December 15, 2012. 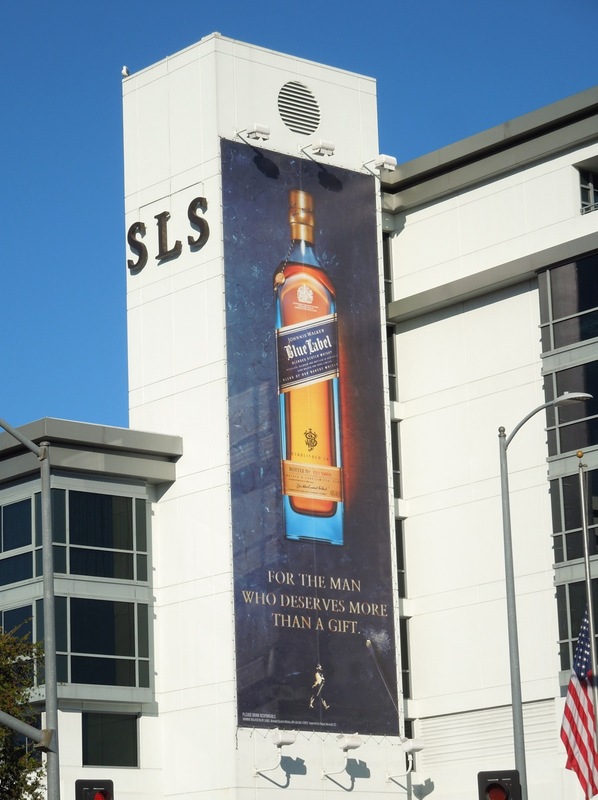 Let's raise a glass to your good health and a very merry holiday season for one and all.